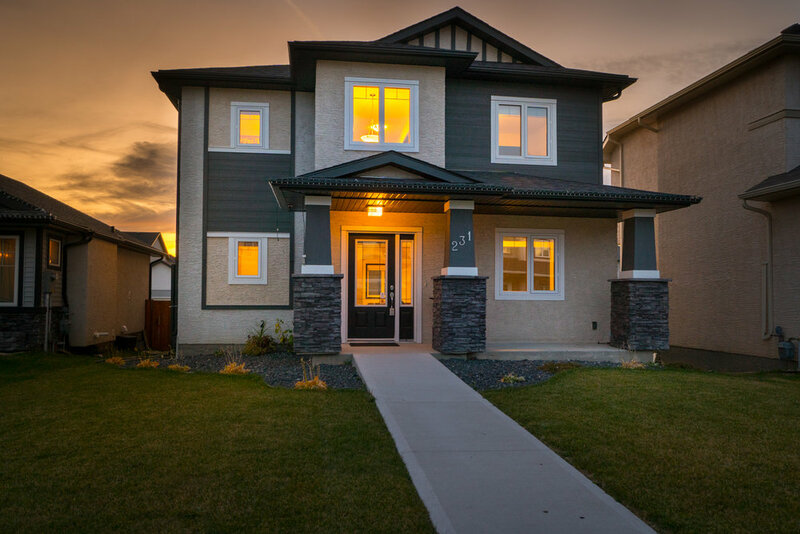 This gorgeous GINO’s custom built home has 4 spacious bedrooms and 2.5 baths, allowing you to truly stretch out and settle into one of the most desirable communities in Winnipeg! The living room has an amazing gas fireplace--absolutely perfect for warming up on those cold winter nights. With an open concept living/ dining area and a intelligently designed kitchen including stylish maple cabinetry, stainless steel appliances, pantry and massive 3-person island, this house is perfect for entertaining and family life alike. The home is loaded with style and sophistication and features décor paint tones, high-end flooring, and custom lighting throughout the home. Upstairs you’ll love the palatial master suite, including en-suite bathroom and tons of storage. The other two upstairs bedrooms are all roomy, and share their own luxe bathroom, and the main floor bedroom is equally spacious with plenty of light. The mudroom is massive, bigger than some bedrooms, and perfect for busy families on the run! The property is fully landscaped and has an double ATTACHED GARAGE! Call now!